Home Valley Station in the Kimberly’s is probably most famous as the setting for the epic movie Australia starring Nicole Kidman & Hugh Jackman in the beautiful, stark scenery of the Kimberly‘s. However, it is also a working cattle station and resort that provides the ultimate Australian outback experience. The Indigenous Land Corporation, owners of Home Valley Station, approached True Water Australia to provide a cost-effective and sustainable wastewater system that would offer a long-term solution for the resort and cattle station. 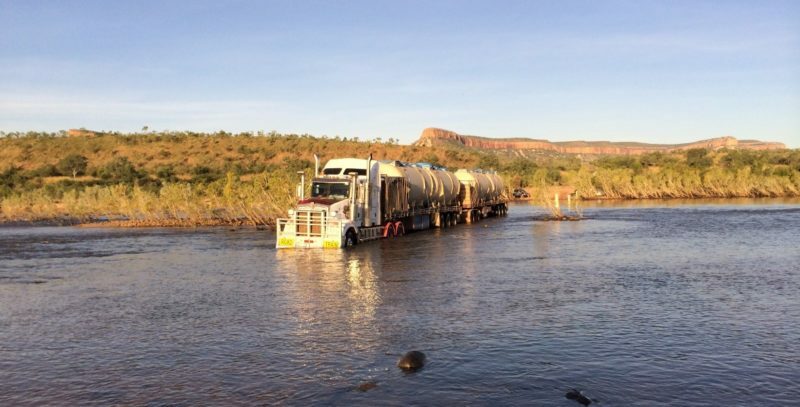 Situated on the Pentecost River, 114kms from the township of Kununurra, the station needed to replace their existing sewage systems and came to True Water Australia for expertise in dealing with environmentally sensitive areas. “The site’s remote location, close proximity to the river, temperatures of 45+ degrees, excessive humidity and the sites location on a rock platform were all issues that our system needed to address. The wet season that produces an average of 750mm of rain during a six months period, also has an impact on the type of system that can be put in place. The Indigenous Land Corporation was impressed by our environmentally friendly system and was keen to re-use the water for irrigation purposes and to mitigate dust” said Daniel Mahoney, Manager Director of True Water Australia. The station has 32 permanent staff working year round on the historic cattle station and while the outback resort can accommodate up to 600 guests in cabin and camping accommodation. As water usage varies considerably during the year, the system is designed to cope with a peak load of 40,000 litres per day. True Water Australia installed a Kubota-TW40 wastewater system in late April which is a cost effective system with the durability to withstand the Kimberly environment and a high level of effluent treatment.